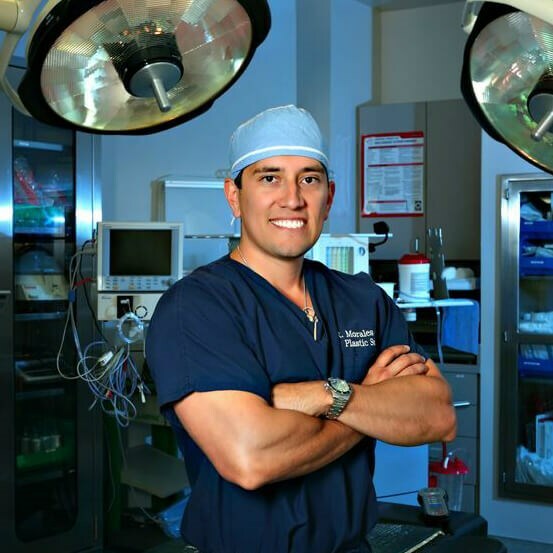 Houston native, Dr. Rolando Morales, is a plastic surgeon specializing in cosmetic and reconstructive procedures that create beautiful results for the face, breast, body and skin. 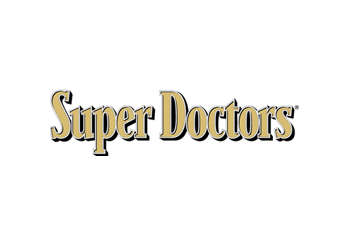 His goal is to produce excellent surgical results safely, and to provide the highest level of patient care. 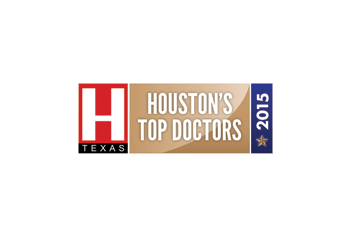 He is proud to be a member of the Aesthetic Center for Plastic Surgery, an AAAA certified surgery center that is a part of a practice known throughout Houston and surrounding areas like Katy, TX as a distinguished and successful group. Using a combination of surgical and nonsurgical skin rejuvenation techniques, Dr. Morales has changed the lives of countless men and women, allowing them to love the way they look and feel. of stunning before and after photos. Dr. Rolando Morales, a Houston, TX native, is a cosmetic, plastic and reconstructive surgeon serving patients throughout Katy and the greater Houston area. Blending a unique passion for art and science, he creates beautiful, lasting results for the face, breast, body and skin. Selected from among the nation’s top medical school applicants, he completed a highly competitive 6-year residency, which provided him with the critical training that is necessary to produce successful outcomes. 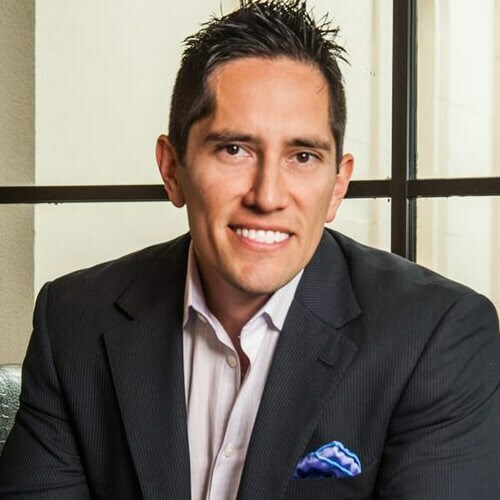 Dr. Morales is consistently listed as a Top Doc in local and industry publications, and considers it a rewarding privilege to enhance each person’s unique beauty using the latest surgical techniques available today. before and after photo galleries. I love Dr Morales! He is an artist and a complete professional!! ?? 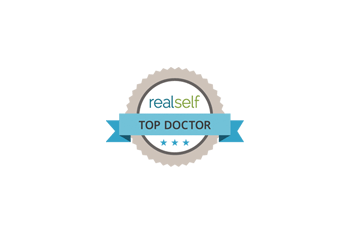 55 Years Old, 2 Kids-Tummy Tuck Procedure - Houston, TX - Dr. Morales exceeded my expectations and is very honest about the final results. He gets an A+ in my book! - - Went in for surgery in May and here it is July 12th and I am moving around and healing wonderfully. The downtime is about a week and I had to stay in the hospital overnight since I had a tummy tuck. I am still a little puffy but in due time it will go down. It gets better everyday and I am loving the results. My Transformation - Houston, TX - I had received a full tummy tuck back in March. I never thought I would consider this, but after years of getting back in shape after my 4th child, stepping on stage and doing all that I could to flatten the tummy, there was just no correcting the damage that occurred after multiple pregnancies and some huge babies! After extreme weight loss and multiple pregnancies, my stomach muscles were damaged, fascia stretched out, and my diet and exercise alone could not help this distended appearance no matter what! My surgeon was completely blown away after he learned that I stepped on stage last year and was even able to get my tummy down to do so.... I quickly learned that the min I was NOT in prep, the stomach muscles relaxed and I was back to square one. My husband and I talked it over for months trying to decide if it was even worth the time, money, and the scar that is left afterwards.... But we both decided that I had given it my all and we went ahead and planned the surgery. During this process, I learned that I had two additional hernias that needed repaired (had already had one in my belly button fixed), so we were able to get these fixed during surgery as well.Recovery has been pretty easy for me. The doctor said I was able to recovery quicker because of the great shape I was already in. The first week was painful and so hard to get up to walk around and even sleep. I had to sleep in a recliner the first two weeks. By week 4, I was back in the gym doing light cardio and training. Again, something that only my surgeon was able to agree with since my body was recovering quickly. By week 6, I was back in full swing with few restrictions! There has been much swelling since then, but each week I am seeing it go down and I love that my scar is healing much more beautiful than I thought it would.A few weeks ago my surgeon asked if I would join him as a co-guest on a Houston Morning Talk show, The Debra Duncan show, (Medical Monday segment), which is televised throughout Houston and our surrounding area. He wanted to talk about "Plastic Surgery after weight loss" (and children/mommy makeover-ish), with an emphasis on health and fitness. He also wanted to discuss post-baby, post-weight loss changes (breast deflation/sagging, excess skin of abdomen and laxity) of the body that cannot be "worked off" despite all the exercises, lasers, creams, garments, etc. He sees so many patients now that are inspired like me and by people like myself.. to push them to be healthy with their bodies, and help create lifestyles changes for the better. He mentioned he sees people who are considering "beginning their journey" into these healthier lifestyle changes, but sometimes they come in to have him do it for them (liposuction, contouring surgery, etc). What I love about my doctor is that he always encourages people who are too overweight, or just want to lose more weight to their ideal weight, to exercise, eat healthier before proceeding with plastic surgery. He believes solely in changing your lifestyle first and then proceeding with what your body can't do after you have tried those certain things. His surgical procedures are much better and even last longer if the patient is already in a better physical condition.The show is scheduled for July 11th, 2016, which is the week my husband and I are in Cancun. He tried to get the segment moved, but it just wasn't able to work. I had to sadly decline but was very excited and happy that I was asked in the first place to participate in. If you are able to, please tune in to receive more information about this topic and learn more the services and support my surgeon provides. People who know me, know that I am truly honest about my journey and I believe this is one of the reasons Dr. Morales asked me to begin with. I like to keep everything real in all aspects of my life and if I can share my story, whether it's my past, my current or even my future.... I will do so to help one person understand that some situations are nothing to be embarrassed about. I am here to help promote health and fitness. Inspire the lifestyle....but reassure those who have thought about procedures when all else has failed, it's ok. It's your body, your life, and your decision!! If you are looking for a wonderful, knowledgeable, friendly and very professional Plastic Surgeon, look no further!! 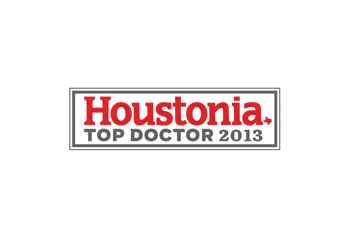 I highly recommend Dr. Morales Plastic Surgery He is one of the best in Texas! The transformation of a mother of 4 - Houston, TX - I had received a full tummy tuck back in March. I never thought I would consider this, but after years of getting back in shape after my 4th child, stepping on stage and doing all that I could to flatten the tummy, there was just no correcting the damage that occurred after multiple pregnancies and some huge babies! After extreme weight loss and multiple pregnancies, my stomach muscles were damaged, fascia stretched out, and my diet and exercise alone could not help this distended appearance no matter what! My surgeon was completely blown away after he learned that I stepped on stage last year and was even able to get my tummy down to do so.... I quickly learned that the min I was NOT in prep, the stomach muscles relaxed and I was back to square one. My husband and I talked it over for months trying to decide if it was even worth the time, money, and the scar that is left afterwards.... But we both decided that I had given it my all and we went ahead and planned the surgery. During this process, I learned that I had two additional hernias that needed repaired (had already had one in my belly button fixed), so we were able to get these fixed during surgery as well.Recovery has been pretty easy for me. The doctor said I was able to recovery quicker because of the great shape I was already in. The first week was painful and so hard to get up to walk around and even sleep. I had to sleep in a recliner the first two weeks. By week 4, I was back in the gym doing light cardio and training. Again, something that only my surgeon was able to agree with since my body was recovering quickly. By week 6, I was back in full swing with few restrictions! There has been much swelling since then, but each week I am seeing it go down and I love that my scar is healing much more beautiful than I thought it would.A few weeks ago my surgeon asked if I would join him as a co-guest on a Houston Morning Talk show, The Debra Duncan show, (Medical Monday segment), which is televised throughout Houston and our surrounding area. He wanted to talk about "Plastic Surgery after weight loss" (and children/mommy makeover-ish), with an emphasis on health and fitness. He also wanted to discuss post-baby, post-weight loss changes (breast deflation/sagging, excess skin of abdomen and laxity) of the body that cannot be "worked off" despite all the exercises, lasers, creams, garments, etc. He sees so many patients now that are inspired like me and by people like myself.. to push them to be healthy with their bodies, and help create lifestyles changes for the better. He mentioned he sees people who are considering "beginning their journey" into these healthier lifestyle changes, but sometimes they come in to have him do it for them (liposuction, contouring surgery, etc). What I love about my doctor is that he always encourages people who are too overweight, or just want to lose more weight to their ideal weight, to exercise, eat healthier before proceeding with plastic surgery. He believes solely in changing your lifestyle first and then proceeding with what your body can't do after you have tried those certain things. His surgical procedures are much better and even last longer if the patient is already in a better physical condition.The show is scheduled for July 11th, 2016, which is the week my husband and I are in Cancun. He tried to get the segment moved, but it just wasn't able to work. I had to sadly decline but was very excited and happy that I was asked in the first place to participate in. If you are able to, please tune in to receive more information about this topic and learn more the services and support my surgeon provides. People who know me, know that I am truly honest about my journey and I believe this is one of the reasons Dr. Morales asked me to begin with. I like to keep everything real in all aspects of my life and if I can share my story, whether it's my past, my current or even my future.... I will do so to help one person understand that some situations are nothing to be embarrassed about. I am here to help promote health and fitness. Inspire the lifestyle....but reassure those who have thought about procedures when all else has failed, it's ok. It's your body, your life, and your decision!! If you are looking for a wonderful, knowledgeable, friendly and very professional Plastic Surgeon, look no further!! 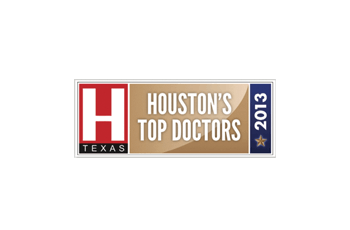 I highly recommend Dr. Morales Plastic Surgery He is one of the best in Texas! I have now been going to Dr. Morales for over a year. I was referred to him by a friend of mine who always gives the best of the best when it comes to anything beauty. I was so pleased from my first appointment with Dr. Morales not only from my results but his bedside manner as well. He is personable and has actual conversations with his clients, as opposed to coming into the room with a needle in hand and going straight to the face. I have gone to several different places over the years for Botox that have done just that, and at times have been given so much that my eyebrows have come out uneven. I just recently got my first round of filler under my eyes! OH MY the best thing ever! I have been asking about this for months, and Dr. Morales never pushed or over sold me. He actually told me to that a really good skin regiment was the key. I can't disagree with that. With that being said I am now 33, feeling as if I was looking far beyond my 30's at times after having my child these little touches make a world of difference. I knew from the moment I walked in, surprised to be greeted by Dr. Morales Patient Coordinator Linda Marquez, I was in great hands! Knowing one another over the years she always goes above any beyond!